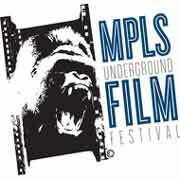 The 5th annual Minneapolis Underground Film Festival, which was held back on August 17-19, gave out a nine awards to seven films. The biggest winner of the event was a short film: Barry Kimm’s documentary Tattoo Underground, which took home three awards for Best Sound, Cinematography and the Largest Audience Award. The film explores the emotional connection between three people and their tattoos. Other winners include Spencer Parson‘s Saturday Morning Massacre, which won for Best Feature and has been killing it in general on the film festival circuit this year; Go Ganges!, the travel doc by JJ Kelly and Josh Thomas won for Best Documentary; Mike Nelson’s The Retirement of Joe Corduroy won for Best Short Film; while the Audience Choice went to the short film Buffalo Shampoo, which was directed by local filmmaker Ryan Becken.